Here’s the thing. 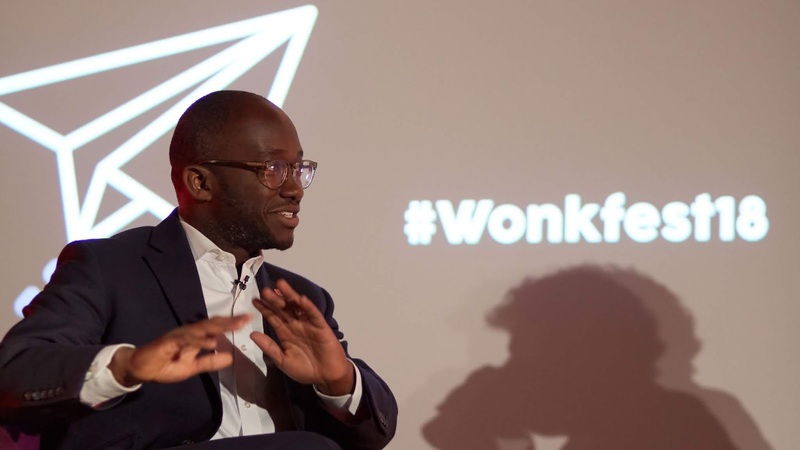 There are far, far more talks and panels (and therefore insights and wisdom) at an event like Wonkfest18 that you DON’T see, than you do. It’s inevitable. You literally can’t be in two, three or even four places at once. So picking your way carefully through the schedule is part of the skill before you even go. But in there lurks hidden dangers; you miss those serendipitous moments of revelation. Or as the modern parlance has it, fear of missing out, or #fomo. My job is external relations. I look for opportunities for our university to connect to industry, other civic institutions, the public sector, our democracy. To make us relevant. I will also confess to being profoundly irritated by the culture war narrative around “free speech on campus” and the (imagined) prevalence of the censorious “no platform” in our universities. I think it is overstated, and has become a useful “straw man” to bash the sector. So, I digress, but on day two of Wonkfest, I digested quite a lot. There was a sparkling “in conversation” with Two VCs (Linda Drew of our hosts, Ravensbourne University London, and Mary Stuart of the University of Lincoln). I enjoyed the morning motivational lift from Michael Barber. I was even appreciative of a sparky lesson in how badly prepared we all are for Brexit from Dirk van Damme of the OECD. All good. In fact, really good. But I sat on the edge of my seat in a session, What Should HE Do For Local Communities? Plenty of concrete examples from Clive Winters from Coventry University and Selena Bolingbroke from Goldsmiths, University of London about the importance of trust building and aligning priorities with external partners (that woefully doesn’t do them justice, by the way). But it was everything you come to a conference for: ideas, and confirmation that what you’re doing is right; or a challenge to yourself if it’s spectacularly wrong. But I didn’t leave early; partly because I’ve been on panels where those on stage outnumber the audience, and it’s a horrible feeling seeing people peel away to be somewhere else when you’re baring your soul. But the main reason was the debate was really getting going by 2.25pm, when I should, by rights, have been shuffling in to the main stage to see Mark Leach grill Sam Gyimah. But I was also really gripped. In a very strong two-day programme it was the most useful and practical discussion I attended. So, I didn’t get in to hear the minister speak. I could have pressed my nose against the crack in the door and heard him, but I didn’t. Instead, I retreated to the soft furnishings of the Guardian Stage and deleted some email, followed the sparring downstairs via the wonders of social media, and after a few minutes or so was interrupted by a panel of students appearing in front of me to discuss “the snowflake generation”. Remember what I said before? Irritated and grumpy about the culture war rumblings? Yep. It was an illuminating and challenging debate, especially with the questions and answers that followed. I came away with some far deeper reflections on the language we use, the expectations of the students we serve and its coupling to a growing mental health crisis. But also the sometimes woeful institutional response to issues when they arise. It’s all important, of course, because of the wider political context being tiptoed around downstairs as they spoke. My vice chancellor didn’t know that initially, because I gave him my hot-take on the minister’s comments first thing the next morning, which he seemed happy with. I got that from listening to it on the Wonkhe podcast and scrolling through the social media responses. But there you go, my first Wonkfest. I really enjoyed it. I got a lot from it. I felt emboldened and determined. We’ve got some tough times ahead, but there are brilliant people working at all levels of HE prepared to share ideas and work very hard to fulfil a very important cultural and economic mission. To do it well we have to be alive to everything shaping that. And that includes listening to testimonies in places we wouldn’t normally go, however it was that we got there.